Zhonggang shoes making factory located in a beautiful city of Soth China-Dongguan City. Dongguan is a famous Manufacturing City, in here, shoes developement and OEM are professional. Zhonggang company was founded in the year 1988, in that time, Chinese economic was just on hers beginning of the fast developing period. 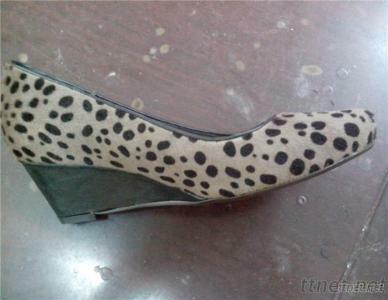 Zhonggang company is always an expert in women shoes making expecially in the field of clogs. We are using to do business with many big shoes' groups and trading corporations from all over the world. We are devoting ourselves to the world's shoes' industry, making more high quality shoes. Footwear, Dress Shoes, Dress Shoes/n.e.s.